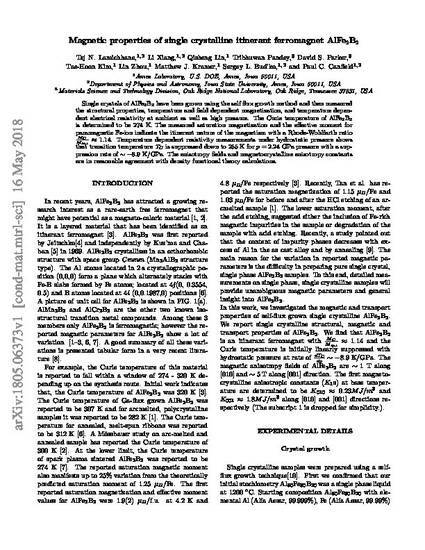 This is a manuscript of the article Lamichhane, Tej N., Li Xiang, Qisheng Lin, Tribhuwan Pandey, David S. Parker, Tae-Hoon Kim, Lin Zhou, Matthew J. Kramer, Sergey L. Bud'ko, and Paul C. Canfield. "Magnetic properties of single crystalline itinerant ferromagnet AlFe2B2." arXiv preprint arXiv:1805.06373 (2018). Posted with permission.